President Muhammadu Buhari will on Sunday, June 10, embark on a two-day working visit to Morocco. This was disclosed by the Senior Special Assistant to the President on Media and Publicity, Malam Garba Shehu, who said the president’s visit is about strengthening bilateral relations between the two countries particularly in the area of agriculture. “The visit, which is at the invitation of His Royal Majesty, King Mohammed VI, will see the two leaders discuss socio-economic matters affecting their countries, following prior engagements in December 2016, during the official visit of His Majesty to Nigeria,” he stated. “In Rabat, discussions will focus on strengthening existing agreements on the fertilizer industry, education cooperation, the Nigeria-Morocco Gas Pipeline project and establishing a basic chemical platform to harness Nigeria’s vast natural gas resources and support Morocco’s diammonium phosphate industry. 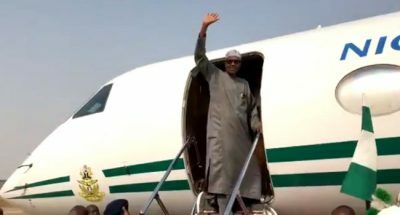 0 Response to "Buhari set for 2-day Working Visit to Morocco"